A huge building containing equipment for dealing with the whole cycle of radioactive waste management is taking shape on the coast of the Barents Sea. Roofing and façade are finished now, and remaining inner engineering systems are being installed, reports the 'Barents Observer'. The complex in the Saida Bay will deal with all kinds of radioactive scrap from the huge reactor compartments of decommissioned nuclear submarines to contaminated metal parts from both the navy and Russia’s fleet of nuclear powered icebreakers. Experts and representatives of international donor countries were shown around the multi-billion complex recently together with officials from the International Atomic Energy Agency (IAEA). Most of the complex, including high-tech equipment is paid by foreign donors as a part of the global program to secure nuclear material after the Cold War. There are already stored 58 reactor units behind the concrete walls topped with barbed wire fences in Saida Bay. 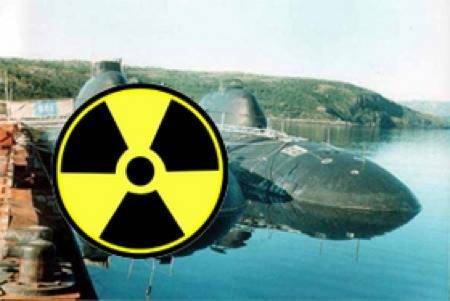 Weighting up to 1,600 tons, each single reactor compartment constituted a threat to the marine environment when the retired submarines were laid-up at the different naval bases and ship yards along the coast to the Barents Sea. Today, they are kept safe onshore, and will have to stay so for at least another hundred years before the radiation half-life makes it safe to cut into scrap metal ready for a final repository. When filled to capacity, more than 130 reactor compartments can be stored here. No other locations on the globe will have more retired reactors side-by-side.